Does your child have a kidney disorder? Have you heard of the nephrotic syndrome? Chances are, you haven’t. Well, the kidney-related condition is relatively rare, but it does lead to a loss of valuable body protein, among other nasty complications. As a mom, you need to be well prepared for any eventuality. So here, MomJunction has put together all the relevant information on nephrotic syndrome in children. Read on to learn more. As we mention above, Nephrotic syndrome is a kidney disorder. The kidneys begin to leak protein from the blood into the urine and do not function as they typically should . The condition occurs due to some damage done to the groups of tiny blood vessels present in the kidneys, which filter extra water and waste from the blood. Nephrotic syndrome can affect adults, as well as children. However, the disease mostly affects children between the ages of two and five. Children suffering from nephrotic syndrome are susceptible to infections, and sometimes, their body tissues swell. The feet and ankles are first to become swollen. 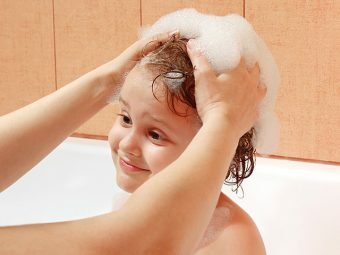 Your child will exhibit many symptoms of this condition. However, most symptoms are treatable with steroid-based medications. Sometimes, children with nephrotic syndrome show no acute symptoms and tend to be under control. However, at other times, the symptoms return with a vengeance, also referred to as a relapse. Doctors have found that as children grow old, they relapse rate becomes less, and by the time they reach the age of 19 or 20, they hardly show signs of the condition. If children get the right medication, generally steroids, the condition is curable, and children do not experience kidney failure. However, if your child has inherited nephrotic syndrome, treatment may not yield positive results, and chances are high your child will end up having kidney failure. If your child does have kidney failure, the only recourse is a kidney transplant. As mentioned earlier, this syndrome occurs due to damage to the groups of small blood vessels present in the kidneys. These blood vessels are known as glomeruli. Their primary function is to filter blood while it is passing through the kidneys and to separate the crucial things that your body needs from those which it does not. When the glomeruli are healthy, they prevent albumin, a type of blood protein, from leaking into the urine that passes out from the body. However, when they are damaged, they allow excessive amounts of this essential blood protein pass out of the body through the urine, leading to the development of nephrotic syndrome. A kidney condition known as membranous nephropathy occurs when the membranes inside the glomeruli thicken. Doctors believe other diseases and health conditions, such as lupus, cancer, malaria and hepatitis B, lead to the thickening of these membranes. This, in turn, leads to nephrotic syndrome. When a blood clot blocks a vein leading to the kidney, it can result in nephrotic syndrome. This condition is medically known as renal vein thrombosis. Childhood diabetes can damage the kidneys if it is not treated. This damage is known as diabetic nephropathy. When the kidneys get damaged, it leads to nephrotic syndrome in kids. If your child suffers from amyloidosis, it causes severe damage to the kidneys. The filtering system of the kidneys gets affected. Amyloidosis is the buildup of amyloid, a type of protein, in the organs. If your child suffers from a serious heart condition, it is unable to pump blood to the vital organs. Hence, kidneys do not get sufficient blood and nutrients to function optimally, resulting in nephrotic syndrome. This, perhaps, is the most common reason for nephrotic syndrome in kids. This disorder can occur due to excessive use of OTC medications, tumors, infections, and allergic reactions. It involves abnormal functioning of the kidneys. When the kidney tissue sample is checked under a microscope, it appears normal and healthy. However, if a problem with the kidneys exist, it is tough to determine. Certain chronic inflammatory diseases, such as systemic lupus erythematosus, can damage the kidneys, preventing them from functioning normally. When this happens in your child, it leads to nephrotic syndrome. Scattering of glomeruli, also known as focal segmental glomerulosclerosis, occurs due to a genetic defect. 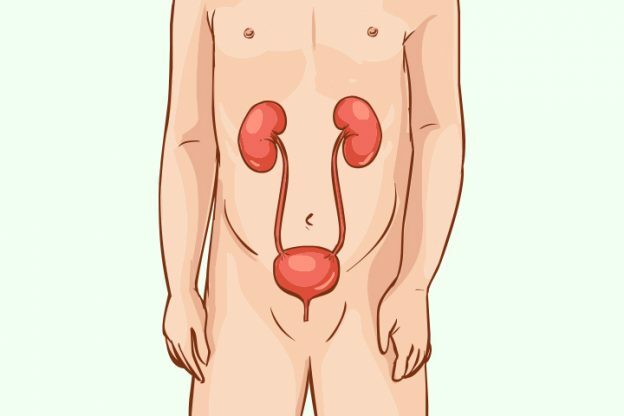 It leads to scarring of the inner part of the kidneys. This condition leads to chronic nephrotic syndrome, as genetic defects cannot be cured. If your child has nephrotic syndrome, protein from the body leaks into the urine. This happens because the kidneys do not function properly. Due to excessive protein (albumin) in the urine, your child will have frothy urine. Also, your little one will pass less urine than normal. Nephrotic syndrome causes swelling around the legs, feet, and ankles. Sometimes, even the face and hands can swell. 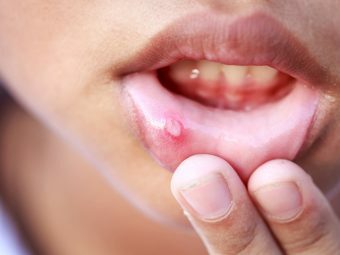 The swelling occurs due to low protein content in the blood which reduces the flow of water from the tissues to the blood vessels. When the doctor tests your child’s blood, it will have high levels of cholesterol and fats. This is a sign of nephrotic syndrome. This is a condition wherein your kid’s blood will show low levels of albumin, an essential protein. This protein instead of being present in the blood leaks into the urine if your child has nephrotic syndrome. If your child appears pale along with edema, it is a sign of nephrotic syndrome. You should not ignore it and take your child to the doctor immediately. When you take your child to a nephrologist, he may perform the following diagnostic tests to determine whether your kid has nephrotic syndrome. If your child suffers from edema and looks pale, doctors will ask him to undergo a blood test. This test checks the blood for albumin and presence of cholesterol and triglycerides. If the level of the protein is low in the blood, it means your child has nephrotic syndrome. Also, such a child will have high levels of cholesterol and blood triglycerides. Sometimes, the pathologist may check the blood of blood urea or serum creatinine, as well. This allows the doctor to assess the functioning of your kid’s kidneys. Urine test helps the doctor ascertain the level of albumin in the urine. If the protein level in the urine is high, the doctor will recommend a second test. This ensures accuracy. A urine test also helps in finding out kidney infections, which can result in symptoms similar to nephrotic syndrome. This test is performed using a needle and does not require any surgery. For this test, the doctor will need to take a small piece of your child’s kidney tissue as a sample for testing. This kidney sample is sent to a laboratory for testing. 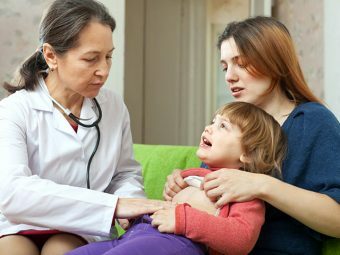 A doctor will recommend a kidney biopsy only if he believes your child has severe nephrotic syndrome and other forms of treatment are not working satisfactorily. This outpatient procedure allows the doctor to view images of the kidney and its insides for abnormalities. It does not require anesthesia and is completely safe and painless. So you needn’t worry. Also, the doctor will perform a physical test by examining your child’s body and tapping specific areas of the body. Be prepared with your family history, as the doctor will ask you about your family medical history. Nephrotic syndrome treatment in children depends on whether the syndrome is primary or secondary. The primary is when the condition develops and restricts to the kidneys. The secondary nephrotic syndrome is when the condition occurs due to some other health problem. Usually, the first line of treatment for nephrotic syndrome in children is steroid-based medication. However, the doctor may recommend other treatments if your child develops serious side effects to the steroids. Doctors usually recommend that children take steroid medications when they are suffering from a relapse or low urine output. It is best to take your child to a pediatric nephrologist (a kidney specialist for children) for diagnostic testing and subsequent treatment. Initially, the specialist may recommend your child take prednisolone for about six weeks. This is a steroid-based medication. If this happens, make sure your child takes the medication diligently as advised by the doctor. Sometimes, the doctor may suggest an extension in the course of the medicine for another six weeks. But this time, your little one will have to take the medicine on alternate days. Steroid-based medicines are most successful in dealing with nephrotic syndrome in children. They have the ability to prevent protein leakage into the urine. Also, these medications reduce the edema that your child may have. Doctors also recommend that children suffering from nephrotic syndrome take certain vaccinations, like a pneumococcal vaccine and the chickenpox or varicella vaccine, to keep infections at bay. However, your child should not receive vaccines like BCG, MMR, and varicella vaccine if he is taking other medications to control the symptoms of nephrotic syndrome. These blood thinners, also known as anticoagulants, prevent the blood from clotting and significantly lower your child’s chances of developing blood clots. Blood clots can develop when a child has nephrotic syndrome, and these clots can be life-threatening. Diuretics help in controlling swelling of the body tissues by increasing fluid output of the kidneys. They cut down on the buildup of fluid within the body. They also help by increasing urine production. If your child has elevated blood pressure, diuretics can bring down the pressure, as well. If your child relapses or does not respond to corticosteroids, the doctor may put him on other medication control the working of the immune system. This medication stops the body from manufacturing antibodies, which can damage the kidneys. In case, the doctor thinks your child is at a risk of catching an infection, he will take preventive measures by prescribing penicillin. If your child is allergic to penicillin, do inform the doctor. He will prescribe an alternative antibiotic. Nephrotic syndrome results in loss of protein from the body. This protein passes out of the body through urine. If the loss of albumin from the body is severe, your child will need hospitalization to receive infusions of albumin. The doctor will insert a cannula, which a thin plastic tube, into a vein in the arm so that the albumin can slowly transfer to the blood, boosting the level of the protein in the blood. Medications called statins help in lowering blood cholesterol levels. However, doctors are still puzzled whether these statins can help a person avoid heart attacks or lower the risks of dying at an early age. Nonetheless, statins will help reduce the high cholesterol levels that your child has. Medications called angiotensin-converting enzyme inhibitors help in lowering blood pressure and also reduce how much protein is leaking through the urine. These angiotensin-converting enzyme inhibitors include medicines like enalapril, benazepril, and captopril. There is another group of similar medications called angiotensin II receptor blockers which include valsartan and losartan. The doctor will decide which group is the best for your child. There are certain additional medications that the doctor may prescribe if these treatments do not yield positive results. These medications help in reducing relapses and also control the symptoms of nephrotic syndrome. In case your child does not respond to treatment, the doctor may suggest removing one or both his kidneys. This reduces the risk of blood clots. If this happens, your child will be put on dialysis that takes the function of the kidneys. This will continue until your kid receives a kidney transplant. Your child requires just one kidney for survival. You or any other family member can donate a kidney if the need arises . You cannot prevent nephrotic syndrome if it is congenital or idiopathic. However, you can prevent your kid from getting relapses. Nephrotic syndrome is a group of symptoms and it makes your kid vulnerable to infections. Many healthcare practitioners believe a damaged immune system can result in problems for the kidneys. You can prevent relapses in your child by protecting him from common infections. This means to maintain good hygiene and cleanliness. A child with nephrotic syndrome is usually put on a special diet. Make sure your kid consumes a low-protein, low-sodium and low-phosphorus diet. Since nephrotic syndrome causes edema, salty food can aggravate the swelling further. And, foods high in protein and phosphorus make renal disorders worse by burdening the malfunctioning kidneys. Even though steroid medications are highly effective in treating nephrotic syndrome in children, they, sometimes, lead to severe side effects. Hence, doctors may recommend natural therapy. These natural treatments help to repair the damage to kidneys and also help improve the functioning of the kidneys. Also, natural treatments do not have any harmful side effect. Many doctors recommend children suffering from nephrotic syndrome should regularly exercise to prevent relapse. However, these exercises should be mild and not very strenuous. Never send your child for a sport like taekwondo or wrestling if he has nephrotic syndrome. Instead, encourage him to take up other physical activities like swimming, jogging, hiking, and walking. Certain infections like malaria, hepatitis B, hepatitis C and HIV can increase the chances of your child getting nephrotic syndrome. Other health conditions such as amyloidosis, diabetes, lupus and minimal change disease also increase the chances of your kid developing nephrotic syndrome. NSAIDs or nonsteroidal anti-inflammatory drugs which fight off infections could lead to nephrotic syndrome if you overdose your child. There are also certain complications which your kid can experience if he has nephrotic syndrome. Due to leakage of protein through the urine, your child will probably be malnourished and may also experience weight loss and anemia (low red blood cell content). 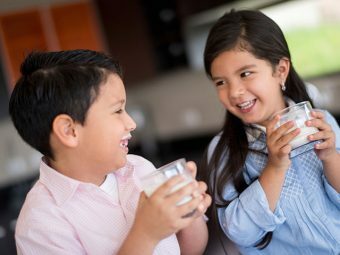 Your child’s calcium and Vitamin D levels may also be affected. Nephrotic syndrome often results in the glomeruli being unable to filter blood effectively, and this increases a number of proteins leaking out through the urine. Your child’s chances of developing a blood clot are extremely high in such a case. As nephrotic syndrome impairs the functioning your kid’s kidneys, in the long run, the kidneys stop working completely. Under such circumstances, your child may require lifelong dialysis or get a kidney transplant. Since the kidneys do not function properly, it causes waste to accumulate in the blood, resulting in elevated blood pressure. If the glomeruli get damaged severely, your kid’s kidney will be unable to filter the waste. This leads to the buildup of waste material in the blood. In such a case, your child will require dialysis to remove this buildup of waste and excessive fluid from the body and blood. Due to nephrotic syndrome, the albumin levels in the body get dangerously low. This causes the liver to increase production of albumin. However, the increase in the protein also causes cholesterol and triglyceride levels to elevate, resulting in high blood cholesterol. As mentioned earlier, your child will be at a higher risk of getting infections if he suffers from nephrotic syndrome. 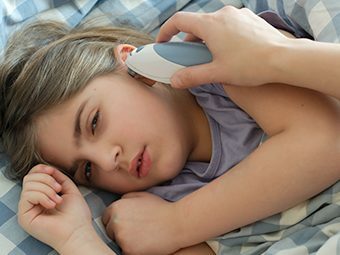 Even a common cold can be dangerous for your kid. Unfortunately, there aren’t any home remedies for nephrotic syndrome, per se. However, with a few lifestyle changes, you can improve your child’s quality of life. The most important thing is to make serious changes to your child’s diet to help the kidneys. Do not give your child salty foods, as this will worsen edema brought on by nephrotic syndrome. Try introducing lean meats into your child’s diet to keep cholesterol levels low, but help with protein and iron levels. Cut down on the fat and cholesterol in the food that you give your child. As a parent, you may worry when the doctor tells you your child has nephrotic syndrome. There is a silver lining, though. The condition goes away for good by the time your child turns into a teenager and that too without damaging the kidneys. However, until this happens, make sure your follow the doctor’s orders and give your child the treatment he requires. You should also be prepared for a relapse, but with the right treatment, your child will become healthy and fit again. Does your child have nephrotic syndrome? What measures do you take to help him? We would like to hear about your experience so feel free to comment below.